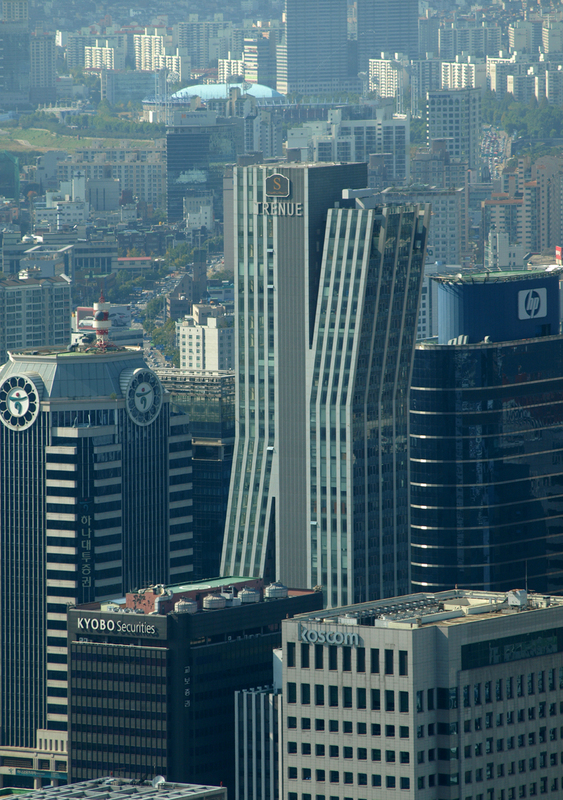 Located in Yeoido Island, a newly redeveloping area in the heart of Seoul, the “Bundle Matrix Building” or S-Trenue, contains commercial spaces on the lower five levels of the building, while 113 units of officetels (live/work spaces) make up floors 5–36, with community facilities on the 14th and 15th floors. In order to optimize the view and light quality in each unit, the building maximizes its allowable height, giving the tower a challenging slenderness ration of 1:8. 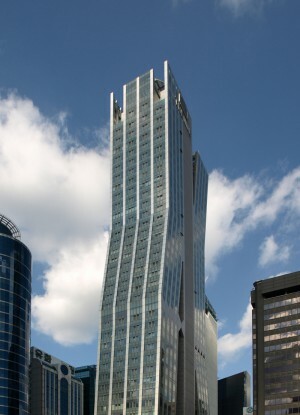 The tower is articulated into three, even more slender towers, with a vertical core tower in the middle and live/work towers on either side, creating open spaces in between the “bundle” of towers. 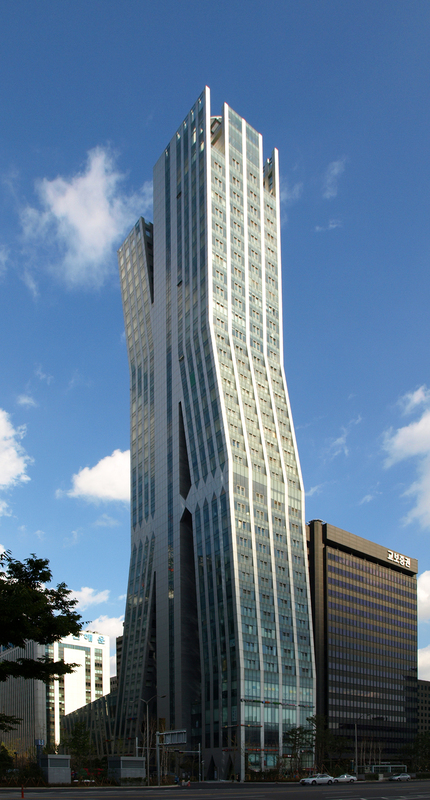 The core tower is of reinforced concrete construction whilst the two side towers are steel. 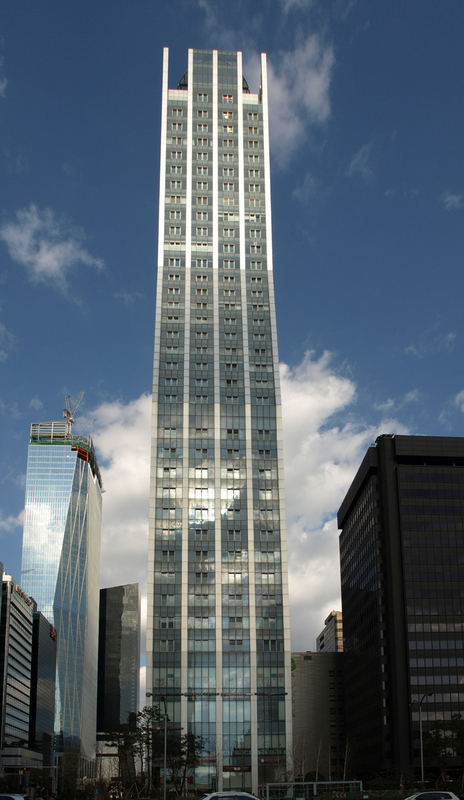 With the core tower at the center, the slimmer steel construction towers lean at varying angles but maintain structural soundness. This creates space between the three towers which is utilized as external, outdoor space. Because of these spaces, many rooms inside the tower have an unusual amount of access and exposure to the outside for a more desirable live/work environment. 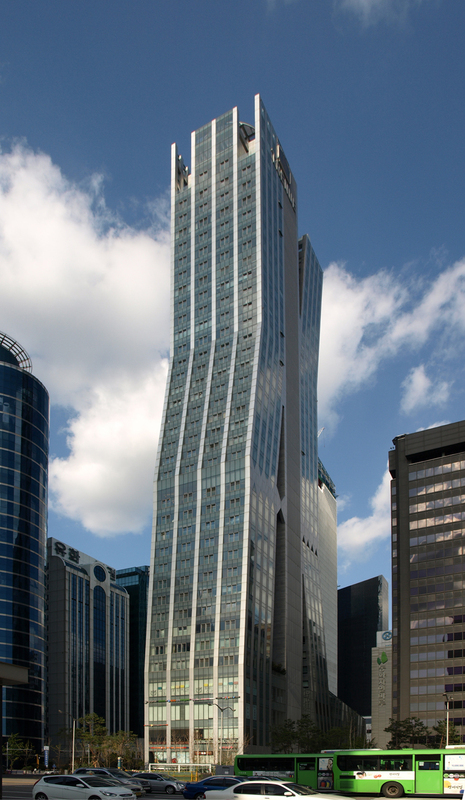 Twenty seven sky gardens with pedestrian bridges connect the core tower with the other two towers in various configurations that further enhance this connection with the outside air. A green park space will be installed along the 100 meter (328ft) wide street. In addition, an 85 meter by five meter (208x16ft) garden island will be installed alongside the street to the west, which is narrow but expected to see significant pedestrian traffic. The street-side park features bamboo and Japanese spurge landscaping and water fixtures. Mist fountains and lighting will create a distinctive urban park that adds to the site’s role as a gateway.